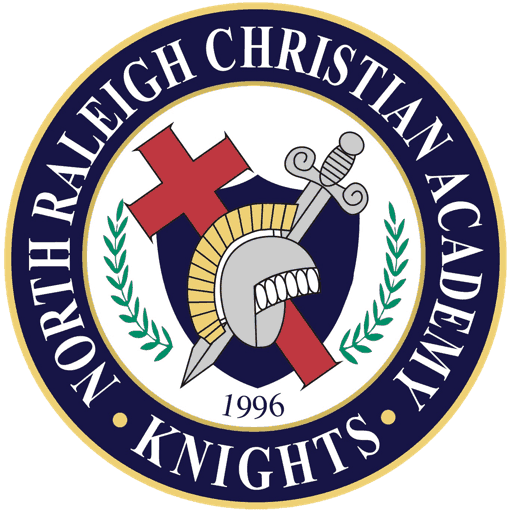 North Raleigh Christian Academy aims to foster in its students a concern and willingness to help those in need both at school and within the community. Galatians 6:10 encourages, “Therefore, as we have opportunity let us do good to all.” As a result, Community Service at NRCA is a top priority. Each grade level in the Elementary and Middle School unifies their efforts for a specific Community Service Project. Community Service in the Elementary School is done through individual classes and grade level. Each grade level selects a project, organization, or ministries that they would like to partner with through the year. The Kindergarten classes collects toys for all ages that are delivered to the UNC Children’s Hospital at Christmas time. The Second Grade classes have “adopted” local firefighters. The students show their support by providing the firefighters with food, snacks and other special treats to liven up the firehouse. The third grade classes collect non-perishable food items for the Backpack Buddies program. This program provides food for needy children at Fox Road Elementary. Two of our classes collect in the fall and the other two classes collect in the spring. Fourth graders at NRCA collect tabs from soda pop cans for the Ronald McDonald House in Durham. The tabs help defray the cost of staying at the House while children are undergoing treatment at Duke. The Fifth grade collects toiletry items-combs,toothpaste, toothbrushes, small bars of soap, etc, pre-packaged food and candy; socks; printed Bible verses for encouragement. Each 5th grade homeroom stuffs plastic bags to be distributed at Moore Square as needed. Community Service through the middle school is accomplished through grade level projects. Middle School students are guided to realize that every student must do his or her part for the project to succeed. Students actively participate through collecting, organizing, and delivering designated products to assigned agencies. Grade levels in Middle School participate in community service with ministries such as House of Hope, Operation Christmas Child, and With Love From Jesus. The sixth grade partners with a local ministry, House of Hope. House of Hope is a Christian therapeutic school, home, and counseling center for hurting and troubled girls, ages 12-17 and their families. The seventh grade spends a week bringing in non-perishable food items that will be donated to a local food pantry, FEED. FEED is a food pantry located and operated in Wake Forest. FEED’s ministry and mission is to provide people in need with grocery and hygiene items. The eigth grade community service project is collecting and packing shoeboxes for Operation Christmas Child. Boxes are collected throughout the school and taken to the local distribution center. Every year, NRCA has been proud to support this great cause with hundreds of shoeboxes sent to the mission field. For more information on Operation Christmas Child, visit their website, www.operationchristmaschild.com. North Raleigh Christian Academy desires to send students into the world knowing how to be good citizens and how to effectively love their neighbors. In Luke 10, Jesus compels believers to go out of our way, and walk the extra mile for those who are in need. Because we believe that experience is the best training, NRCA requires all High School students to participate in community service as a graduation requirement. Students must complete 12 hours of community service for every year in High School attendance. For example, a student who transferred in as sophomore will need 36 hours to graduate where a student who went to NRCA throughout their entire career will need 48. In addition, students who complete 100 hours or more while in attendance at NRCA will be given a special cord at graduation. In addition to class projects and individual hours, NRCA takes class days in the spring to participate in community service. During these days, students work with the city of Raleigh to help clean our parks. Additionally, older students participate with ministries like the Raleigh Dream Center which ministers to low-income housing developments.